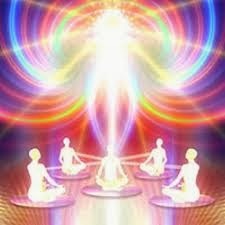 Humans are awakening to their multidimensional self; they are now becoming aware of how all the outside stimulation offered by your society is a way to distract and control. Pull yourselves away from some of those distractions that fill your time with activities. Allow yourselves to drop into a quiet place where you will hear our messages. You as a human, with a body, carry within yourself a reflection of the stars, moon, and sun. You carry an aspect, a reflection, an interface with the galaxy. Remember, this is a game of evolution, a game of consciousness, a game that allows all energetic signatures to be experienced. You as human are like the most sophisticated, refined, highly developed consciousness that could be designed. You are information gatherers: sensing, feeling, and ever expanding from Divine Mind. During these times of great change on your planet, there is a rapid-moving, strong-current river of energy. The best and most conscious manner to deal with this incredible energy... is to bravely trust the flow and allow yourself to embrace the movement and changes that are taking place. Surrender into trust, drop into a place within your being that offers you flexibility for all that is transpiring. Practice radiating joy, gratitude and appreciation into all your experiences.